With today's high energy costs, it makes good sense to find ways to heat and cool your home more efficiently. 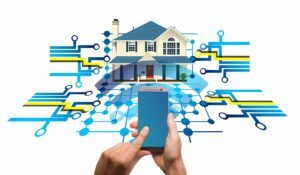 Investing in the latest advancements in smart heating technology is an ideal way to streamline your energy consumption, lower your household operating costs, and enjoy a more consistently comfortable home. Make HVAC maintenance more convenient. The thermostat constantly monitors the system's operation and reminds you when filters need changing, and alerts you and your HVAC pro if an issue develops that needs attention. Provide greater comfort and energy savings. Your thermostat can communicate directly with advanced components like a variable-speed air handler and variable-capacity furnace to precisely control energy use and comfort throughout your home. Improve air quality. By monitoring the air quality based on your zip code, the thermostat will run your system's fan to filter the air if pollen counts rise during a mid-winter mild spell. Fine-tune heating in a large or multi-level home. When paired with an intelligent zoning system, your smart thermostat optimizes heating and energy consumption in specific areas, rooms and levels of your home. Make saving energy effortless, 24/7. Using GPS technology, your smart system detects when you leave and arrive home and adjusts your heating system's output automatically. To learn more about smart heating options for your Fort Wayne home, contact us at Hartman Brothers Heating & Air Conditioning. Our goal is to help educate our customers in New Haven, Indiana and surrounding Fort Wayne area about energy and home comfort issues (specific to HVAC systems). For more information about smart heating and other HVAC topics, download our free Home Comfort Guide or call us at 260-376-2961.